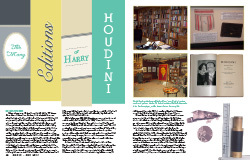 Arthur Moses not only collects Houdiniana, he specializes in Houdini in print -- every edition of Houdini literature in print. Plus, Moses shares the story of the complete known Houdini voice recordings, along with a transcript. The article about the complete Houdini voice recordings is written by Arthur himself and includes the full transcript. You'll remember Arthur revealed the complete recordings last year at the Magic Collectors Weekend in Chicago. You'll also find coverage of Penn & Teller's recent star ceremony on the Hollywood Walk of Fame, Milt Larsen's latest installment of "50 Years at the Castle", and much more. 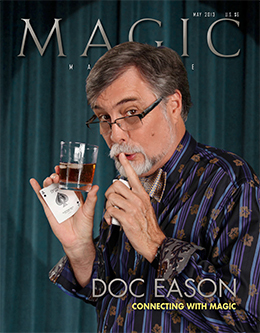 The May issue of MAGIC is available now from the official MAGIC Magazine website.